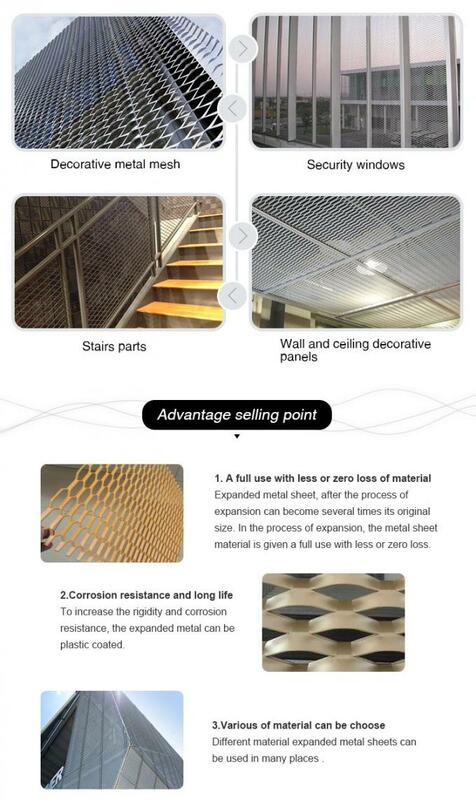 Expanded metal mesh which can be used for exterior facade is a form of metal sheet with various shaped openings in the area. It can be made of a range of materials, such as carbon steel, aluminum metal, stainless steel metal, nickel metal. 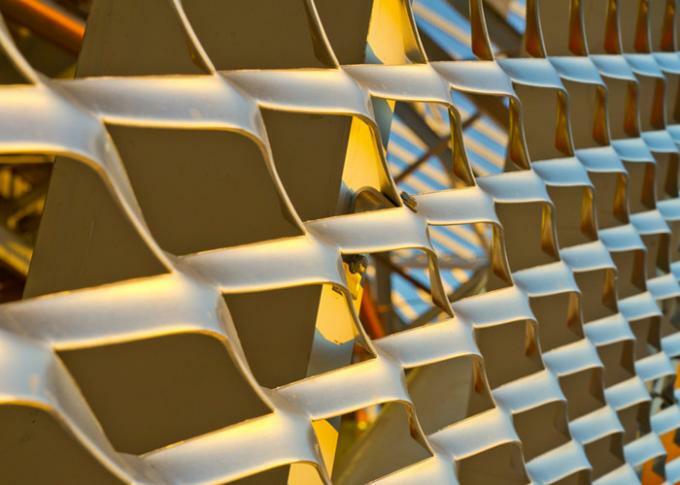 But aluminum expanded metal mesh is the most common than others because of its lighter weight and better corrosion resistance. 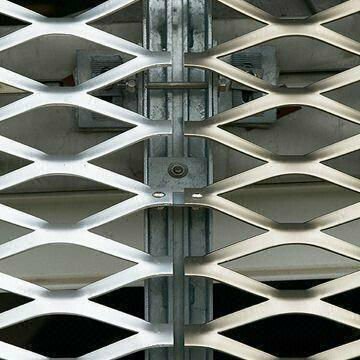 Besides, after being expanded by machine, the expanded metal mesh becomes stronger, lighter, and more rigid as well as having a skid resistant surface. With so many good features, it becomes a new type of building materials mainly used as elegant building exterior facade. It is specially designed to minimize installation time and installation cost. It can be widely used in various kinds of buildings, office building, shopping mall and so on. Its high visibility and guarding properties can let you benefit a lot. PVC coated, Galvanized, anodic oxidation, antirust paint etc.. 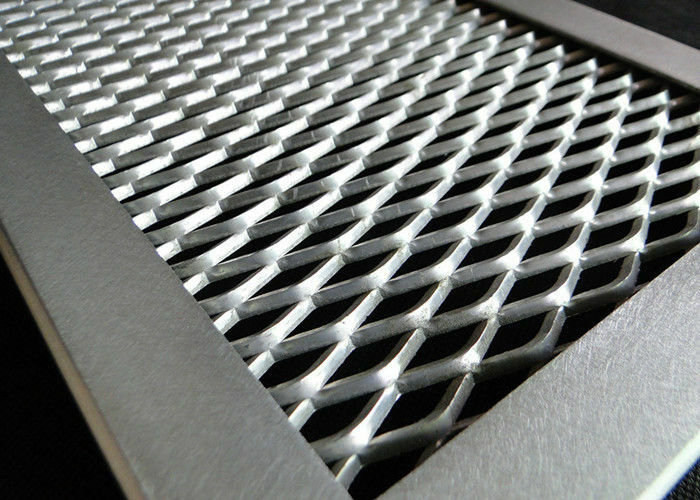 Variety of expanded metal: small, medium and heavy expanded metal mesh. 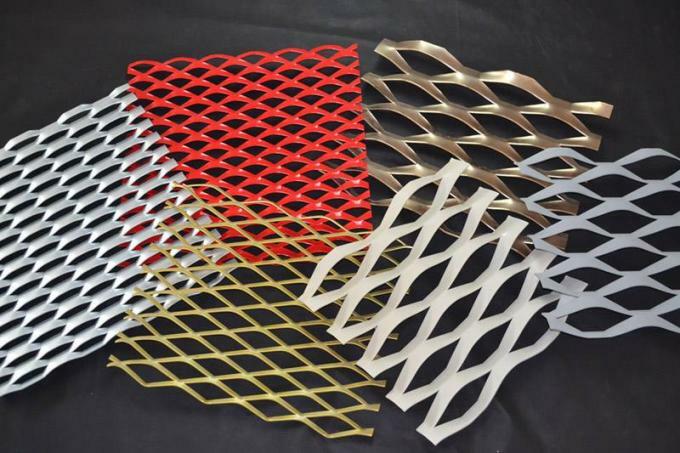 Expanded aluminum mesh, expanded platinum filtration mesh, expanded brass mesh, expanded copper mesh, expanded stainless steel mesh, expanded nickel mesh. Opening in the shape of diamond, hexagonal or special shape. 1> Mainly used for shielding, decorating, battery netting, mechanical equipment protection, handicrafts manufacturing, and window screen replacements, etc. 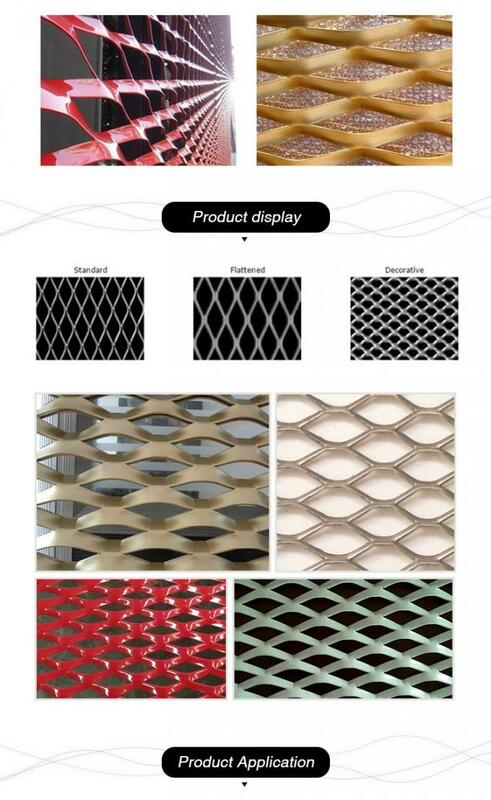 2> Expanded Metal Mesh is used for oil tanker truck mat netting, heavy-duty machinery and the working platforms, escalator or passages of boiler, oil mine, locomotives, ships, etc. 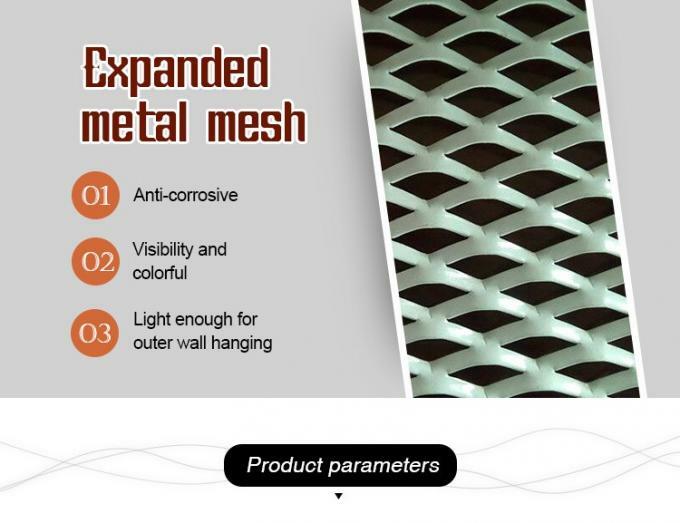 3> Expanded Metal Mesh can be also used as fencing for road, bridges, etc.